Summer has been moving right along here at Palmer Station. While Logan and I haven’t been observing high numbers of whales, we have had the opportunity to see some awesome wildlife and beautiful scenery lately. While we focus on top predators, there are many other scientists working here at Palmer, all of whom share a focus on studying how climate change is affecting the marine and terrestrial ecosystems in this region. 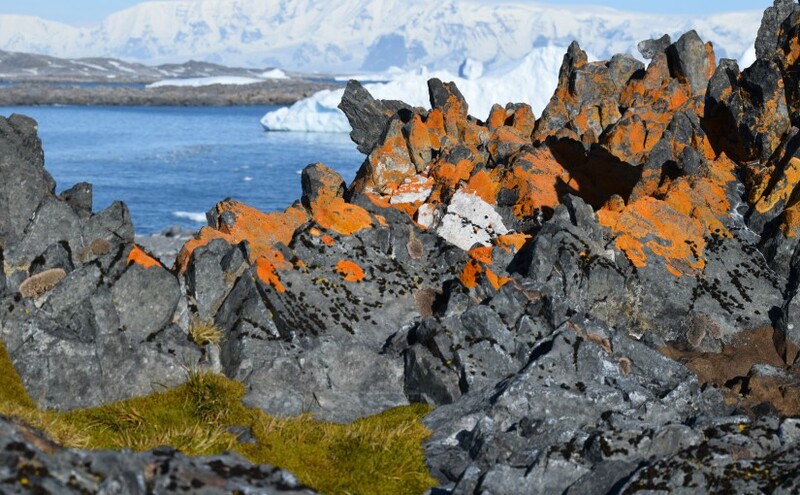 One science group is studying microorganisms (and their role in O2/CO2 cycles), another focuses on phytoplankton, one is studying an insect (the Antarctic midge), and another is studying the chemical ecology of marine macroalgae and invertebrates. I am slowly learning about all of these projects. For example, one of the ‘buggers’ walked by our lab yesterday carrying what looked like a glass of ice water and I said “Hey! What are you doing? Are you killing your bugs?” He patiently explained that the Antarctic midge prefers freezing temperatures. Ok, that makes sense. By the way, the Antarctic midge is 2-6mm long and the largest land animal on the Antarctic continent. We have science talks one night a week at Palmer. Last week after learning about the chemical ecology of the local marine invertebrates and algae, I was nearly convinced to jump ship from team whale and join team macroalgae. A big part of this might be me wanting to go diving, but still. Chuck Amsler (from UAB) gave a great talk about the research that the divers will be doing over the next month. All in all, we haven’t seen many whales in the past two weeks, but we have found many other plants and animals to keep us entertained and asking questions. I know I’m very social media ignorant, but I haven’t found a way to share this blog easily on FB. Am I missing something? I think there’s lots of kids out there I could get this info to. LMK. Hi Erin! So when you say the Antarctic midge is the largest land animal on the continent, do you mean it is the largest animal that lives exclusively on land (as opposed to penguins, seals, birds that inhabit both the land and water)?